We are 73 days away from our Relay but we got a long way to go! 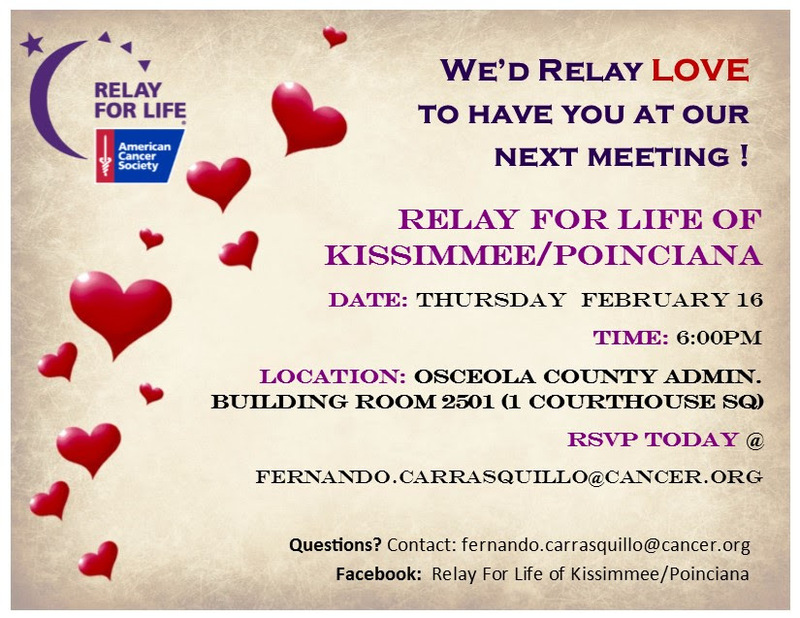 That's why we need YOU to come out to our next Relay Meeting on Thursday Feb. 16 at 6pm at the Osceola County Administration Building, Suite 2501 (Second floord) in Kissimmee. WE will provide snacks and refreshments and discuss campsites, onsite fundraisers and the chance to get more money for our Relay! Please reply to this email to RSVP and invite every team captain, participant, survivors or anybody interested in learning more about our Relay! We hope to see you there. Mark your calendars! Lots ahead for March!